The Lumia 1320 was one of the first phablets from Nokia, and given how Microsoft is ditching the Finnish brand in favor of its own, it’s highly expected that the software giant will go forth and release the successor of said device in due course under its own name. And if today’s leak pertaining to the Microsoft Lumia 1330 is anything to go by, we might see the device bear fruit very soon. 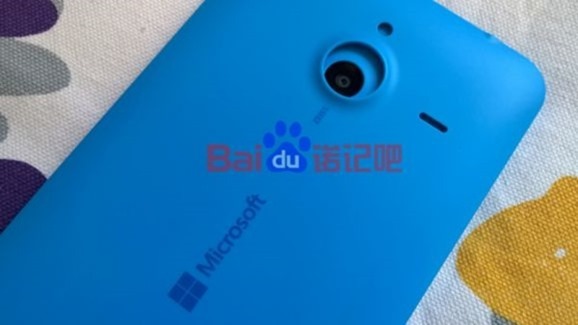 The leaked photos come courtesy of Baidu which shows off the rear casing of the Lumia 1330. And as we can see from the photos, the Lumia 535 literally dwarves in front of the 1330, so much so that the smartphone can rest inside the casing with room still left on all four sides. 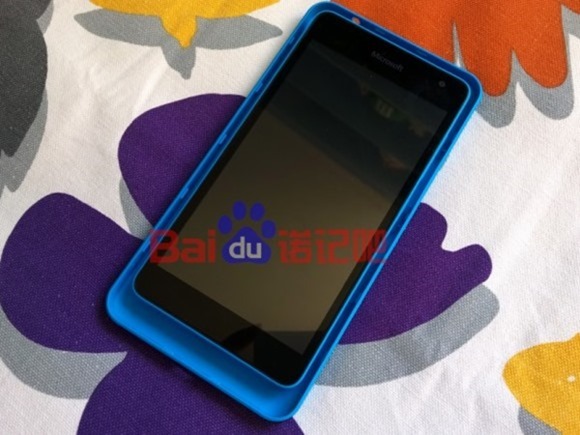 Rumors that surfaced earlier suggested that the new Lumia 1330 phablet form Microsoft could be sporting a 14MP rear shooter, but no technical details on the camera module exists so far. The 1320 in comparison carries a mere 5MP camera, so the 14MP jump should make for an interesting upgrade. According to speculation and rumors that have been churning up for the expected phablet, the device is expected to be released with a 5.7-inch 720p display – compared to a 6-inch screen on the 1320 – a Snapdragon 400 processor, coupled with 1GB of RAM and 32GB of storage. 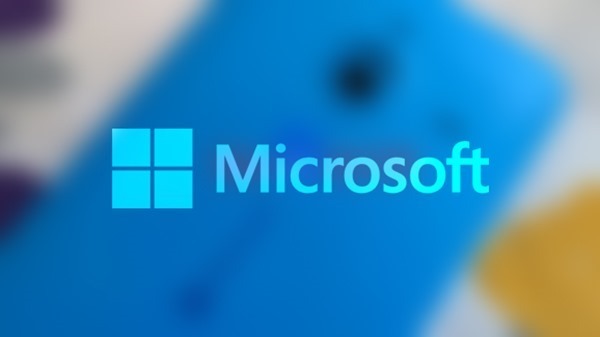 Further details remain unknown for now, but we’re likely to get more information at MWC 2015 in March, where the software maker’s device could make its appearance as the first Microsoft branded Lumia phablet. The specs are well, nothing stellar in terms of the current industry standard for phablets, considering that the Galaxy Note 4 and other offerings from different manufacturers offer insane hardware. The leaked photo gives us nothing to go by really with regards to design or other notable features, other than suggesting that the phone’s arrival is imminent, giving us good reason to expect its presence at the MWC 2015. We just have to wait this one out, but given how the Lumia 1320 was accompanied by the Lumia 1520, it’s likely that the company might follow the same release pattern and release two phablets together. Gotta congratulate Microsoft on living in mediocrity, Always wanted to try a Windows Phone out, but with less than stellar specs like this rumored, and the exclusivity deal with the 920 and Att that will never happen. Everyone’s gonna be like still no Lumia 1030. Just keep flexing those puny muscles Rafy Taffy. Gotta congratulate you on living in ignorance. Microsoft will not miss out on your money at all, loser. Try the Windows version of the HTC One M8? All four users love them!